what this beautiful Holiday is all about. I hope you like them as much as we do! 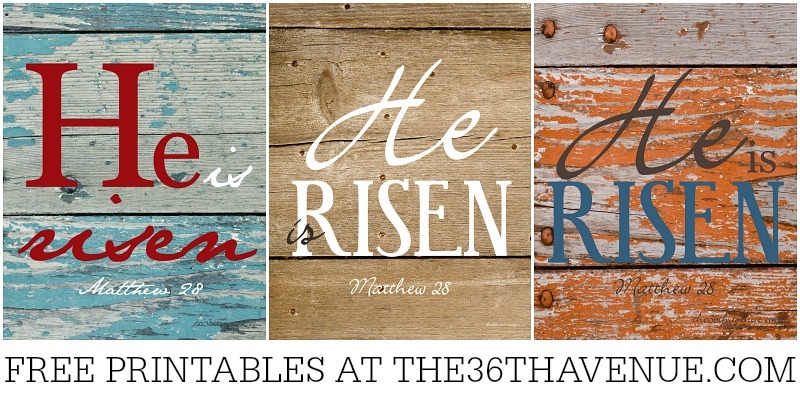 ©the36thavenue.com DO NOT COPY, SAVE, OR PASTER THIS COLLAGE IMAGE! We printed and have the first one in our own home. I’ll be back later today with an amazing giveaway but for now enjoy these free printables. Lori, for some reason the original file wouldn’t download. It is working now! Let me check and I get back to you! 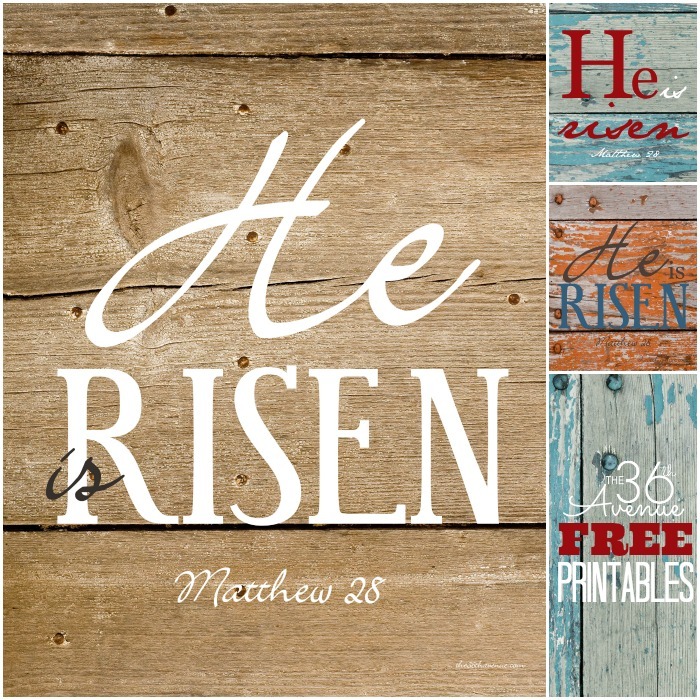 these are lovely….at my church during easter season, our pastor says “He is risen” and the congregation responds with “He is risen indeed!” I think a companion piece to your lovely art work would be great! Hi Desiree! I loved these printables so much that I featured them on my blog today. 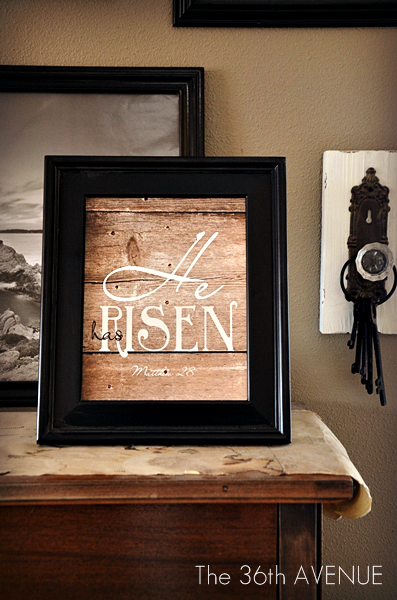 You can checkout the post here if you like: http://homemadeville.blogspot.com/2013/03/happy-easter-free-printables-worth.html. Happy Easter!! Hi! Thank you for creating these! They are wonderful! I am creating something of my own and love the font of the first he. Do you know by chance what that font name is? Thanks!